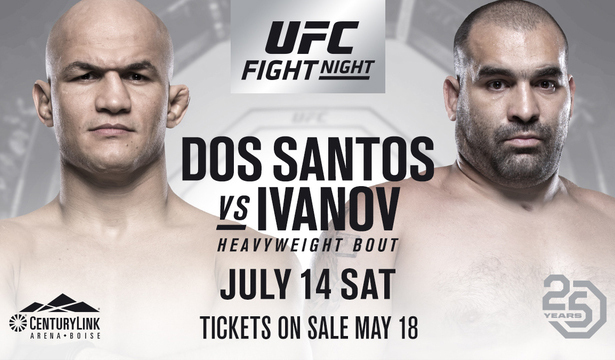 UFC Fight Night: dos Santos vs. Ivanov will air on July 14, 2018, in Boise, Idaho. This is a three-round fight in the bantamweight division. La Rosa brings boxing and jiu-jitsu. Garcia brings striking and grappling. Identical in techniques, but La Rosa’s striking is more well-rounded. Garcia has good grappling─so does La Rosa. Looking further into this fight La Rosa appears to take the win with ease. Garcia could pull off a surprise from his striking─it’s highly unlikely. My prediction: La Rosa wins via TKO in Round 3. This is a three-round fight in the women’s flyweight division. Carmouche brings boxing, and jiu-jitsu. Maia brings boxing, Muay Thai, and jiu-jitsu. Similar style, but Maia has better striking from her boxing and Muay Thai. Carmouche’s jiu-jitsu and aggressive style could be a problem for Maia. However, Maia has jiu-jitsu of her own to combine with her boxing giving Carmouche tough fight to overcome. My prediction: Maia wins via unanimous decision. This is a three-round fight in the featherweight division. Holobaugh brings kickboxing and jiu-jitsu. Barcelos brings striking and jiu-jitsu. The kickboxing of Holobaugh should show Barcelos trouble. On the other hand, Barcelos’ jiu-jitsu is better and can overcome Holobaugh’s kickboxing. In order to stay ahead, Holobaugh must remain standing while using his kicks. That will be a challenge with the defense and attack of Barcelos while bringing the fight to the ground. My prediction: Barcelos wins via submission in Round 2. This is a three-round fight in the flyweight division. Scoggins brings kickboxing, karate, Kempo, jiu-jitsu, and wrestling. Nurmagomedov brings boxing and jiu-jitsu. Scoggins has plenty of striking and grappling techniques, but they don’t seem to be enough against Nurmagomedov. The jiu-jitsu Nurmagomedov possesses is far from anything Scoggins has seen. Even his boxing is better. The only hope Scoggins has is to use his kickboxing and sneak in an uppercut kick. If not, this fight will just be a one-sided beating. My prediction: Nurmagomedov wins via submission in Round 3. This is a three-round fight in the featherweight division. Elkins brings striking, jiu-jitsu and wrestling. Volkanovski brings boxing, kickboxing, jiu-jitsu, and wrestling. The surprises of Elkins has made him a top dog and true threat to the division. However, the boxing and wrestling of Volkanovski are unlike any he has ever faced. The striking and cardio of Elkins can be his biggest weapon to use. The wrestling and ground-and-pound of Volkanovski will prove to be too much for Elkins. My prediction: Volkanovski wins via TKO in Round 2. This is a three-round fight in the bantamweight division. Wineland brings kickboxing, jiu-jitsu, and wrestling. Perez brings boxing and jiu-jitsu. The jiu-jitsu and wrestling Wineland possesses will be a big threat to Perez. However, Perez’s jiu-jitsu can outclass both his styles. Even his boxing is far superior to Wineland’s kickboxing. Wineland must try to find a finish or he looks to be facing a great beating. My prediction: Perez wins via unanimous decision. This is a three-round fight in the women’s bantamweight division. Zingano brings Muay Thai, jiu-jitsu, and wrestling. Reneau brings Muay Thai and jiu-jitsu. The Muay Thai and wrestling of Zingano are two of her best weapons. Lately, though, her cardio and aggressiveness have declined. Reneau has learned to fight better with her Muay Thai and jiu-jitsu helping her climb the rankings. She will for sure use them to pressure Zingano and wear her down scoring heavy points. My prediction: Reneau wins via unanimous decision. This is a three-round fight in the featherweight division. Jury brings striking, judo, jiu-jitsu, and wrestling. Mendes brings boxing, kickboxing, jiu-jitsu, and wrestling. The boxing and kickboxing of Mendes should prove to be dangerous for Jury. However, it’s been almost two years since he saw action and no longer has drugs to aid him. That will show a great effect on his performance where Jury will be able to hang with him. There he will wear him down until he finds that weak spot and puts Mendes away. My prediction: Jury wins via TKO in Round 2. This is a three-round fight in the welterweight division. Brown brings striking and jiu-jitsu. Price brings striking, kickboxing and jiu-jitsu. Well-rounded, but Price has far greater striking with his kickboxing technique. Brown really has no set striking style but has jiu-jitsu. Price also has jiu-jitsu making this fight even tougher for Brown. Then again, Price probably won’t need to use it as Brown won’t be able to strike with him. My prediction: Price wins via knockout in Round 1. This is a three-round fight in the featherweight division. Bermudez brings striking and wrestling. Glenn brings boxing, jiu-jitsu, and wrestling. Bermudez’s wrestling has always been his best weapon and could prove too much for Glenn. Let’s not forget the boxing Glenn has as well as wrestling of his own to really pressure Bermudez. That being said it appears Bermudez will not have an easy fight after all. Instead, it appears Glenn will be pulling off an upset and finally make his way onto the rankings. My prediction: Glenn wins via unanimous decision. This is a three-round co-main event in the welterweight division. Northcutt brings kickboxing, karate, taekwondo, kajukenbo, and jiu-jitsu. Ottow brings kickboxing, taekwondo, jiu-jitsu, and wrestling. 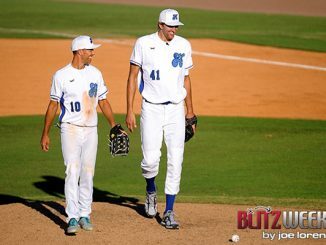 The striking and speed of Northcutt could be a big problem for Ottow. However, Northcutt has never been much of a grappler and Ottow will take notice of that. The jiu-jitsu and wrestling Ottow possesses will be a dangerous weapon to use against Northcutt placing him in mortal danger. The fight must remain standing for Northcutt to win. That will probably not happen with his takedown defense not being so great. My prediction: Ottow wins via submission in Round 2. This is a five-round main event in the heavyweight division. Dos Santos brings boxing and jiu-jitsu. He is a former heavyweight champion. Ivanov brings boxing, kickboxing, judo, and sambo. Two heavy strikers going at it will be fun to see. From recent bouts, dos Santos has had a few flaws with his chin losing its resistance. Ivanov can still take shots and looks to prove that in his debut UFC fight. However, he has never faced a top contender with striking power like dos Santos before. This could be a big problem for him as dos Santos will be pressuring him while unloading heavy strikes. Ivanov must try to hit dos Santos with a clean shot or he might not stand much of a chance. My prediction: dos Santos wins via TKO in Round 3.